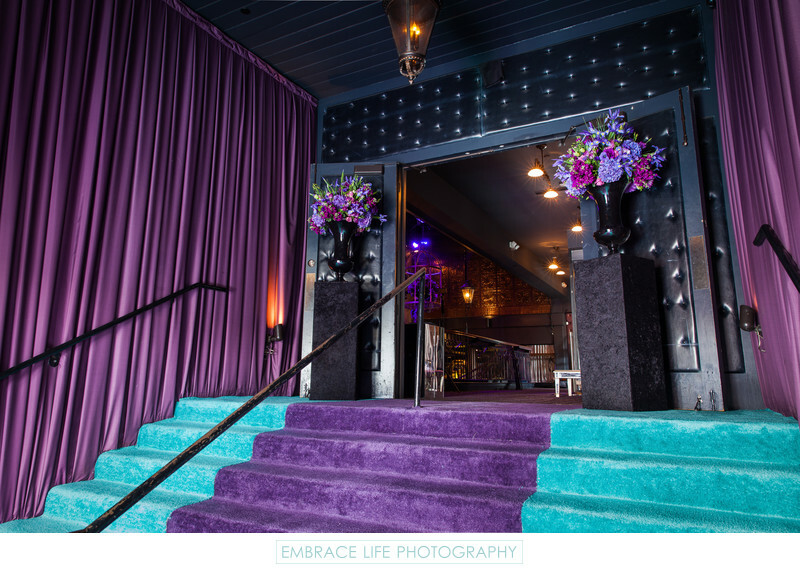 A dramatic purple, teal and black grand entry to a bat mitzvah party photographed at the Greystone Manor night club in Los Angeles, CA. Large black vases filled with beautiful purple flowers, by Sky Flowers, set on top of tall black box pedestals, make a bold statement to welcome guests to the event planned by Ilana Wenger. Location: 643 N. La Cienega Boulevard, Los Angeles, CA 90069. Keywords: Details (1125), Event Photography (384), Flowers (471), Mitzvah (78).